Families of children with disabilities, chronic health conditions, or other special needs often plan for emergencies that are more common due their child's specific diagnosis. When each situation presents itself, we learn something new about what could have prevented, delayed or minimized the emergency. Children with insulin dependent diabetes carry supply kits with test meters, extra test strips, insulin and syringes, snacks and drinks, handiwipes and first aid, including glucagon emergency treatment. Families stock similar kits to be left at schools, recreation centers, camps, childcare providers and extended family, and provide daily snack packs and diabetes care items so that the main supply kits are intact when needed. Because symptoms of high blood sugar and very dangerous lows may be attributed to a child's age or other diagnosis, including 'fight or flight' reactions, parents worry that their child will be found but will not be treated, leading to heartbreaking results. Older children and teens with seizure disorder or autism may have their behavior attributed to criminal intent, mental illness or drug use, with terrible consequences, even if local police have the best of training. Children with severe food or insect bite allergies need quick access to epi-pens and adults in charge who know when and how to use them. 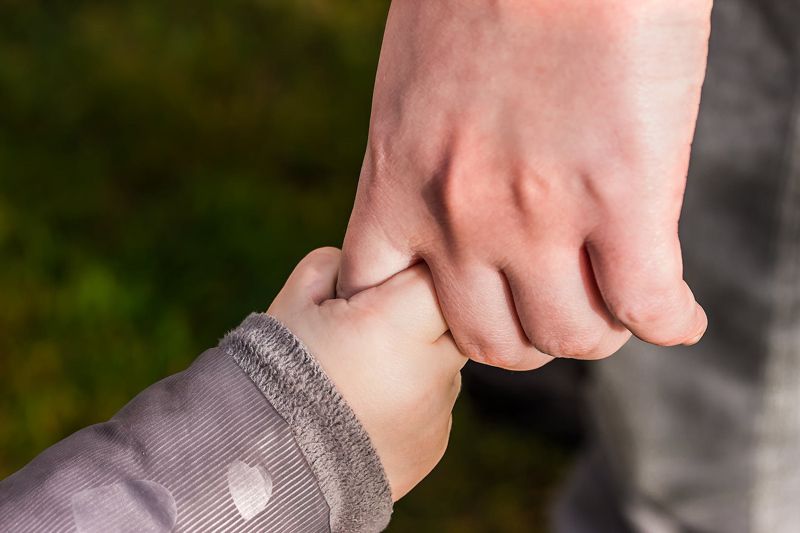 Sometimes adults in charge need to be given permission as well as direction to call 911 for children with chronic health conditions who have an emergency situation. Families of children with developmental disabilities, hyperactivity disorders, and other conditions that prevent them from understanding the dangers of wandering away, escaping or running away, learn to keep a hand on the child and close adult supervision during any transition, recess period, field trip or other outing. There is some interest in electronic monitoring, including gps devices in cell phones or shoes, because children need to be found quickly when they do slip away. Door locks at home may have been installed high enough to be out of a child's reach, as well as security coded and alarmed; windows are probably secured, neighbors and local police alerted. Identification tags with medical and other information may be irritating or uncomfortable to a child, so many products have been invented and new strategies developed so that if a child is lost, the information is available. Children with chronic health conditions like asthma, or any who regularly use medication, file support plans at schools and educate their children's friends' families as well as their own extended families on care and emergency procedures. Children who rely on wheelchairs, ventilators or other medical equipment; and those who use sign language, cards, or electronic communication devices are especially vulnerable when separated from their caregivers or families. Some parents place voice activated recorders in their child's backpack or invest in hidden 'teddy cams' to monitor their child's experiences away from home, or at home after school with childcare providers. Red flags for problems are unreported or ignored and more frequent accidents, increasing anxiety or withdrawal, behavior changes and increased frequency of illness. Families may wish to record children's activities just to stimulate conversation later, and discover that emergencies are happening without notification or discussion. Communities usually offer training in general emergency preparedness through the local Red Cross, fire department, police or city agency. Their checklists for emergency supplies and procedures are valuable for families of children with special needs, schools, PTAs, daycares and parks department programs. Sometimes children are not considered in emergency planning, leaving children with disabilities or health conditions even more vulnerable. We also must prepare for any weather emergency, earthquake or other catastrophe, including school lockdowns, terrorist activity, accidents, evacuations or power blackouts. Some medical conditions make children even more vulnerable to extremes of heat or cold than their mainstream peers.Although we may need a second level of preparedness, some basic items included in general preparedness checklists may be overlooked, with terrible consequences. Having experienced a winter storm power outage in our neighborhood that lasted for several days throughout our local region, we learned the importance of having battery powered devices for light, a 'plug in' telephone that does not rely on electricity, a way to heat food, a thermos to keep hot drinks comforting, and an insulated cooler with 'blue ice' to keep frozen foods and refrigerated items cold. We learned during a freeze with snow storms to keep chemical de-icers on hand for stairs, sidewalks and cleared driveways. Some families who did not realize the danger of carbon monoxide poisoning from using charcoal grills indoors, or generators in unventilated garages, suffered terrible illness and loss of life. Children can suffer from extreme fear and stress during emergency situations, especially if they are prolonged and widespread. They may see other adults reacting in panic, anger or fear and worry that they will be abandoned or those who care for them will be hurt or otherwise incapable of providing safety or reassurance. We may forget to tell children that we have emergency provisions and a plan in case something unexpected happens. Telling them in a matter of fact way that we are prepared, or aware of what is needed in the event of an emergency, helps them get through the situation and suffer fewer long term effects from the stress. It may be difficult to present a hopeful or calm face at the onset of an event, or during an extended period of time when life is a struggle for ourselves and our neighbors, but our children depend on us to show them how to withstand these ordeals in life. Part of planning for emergency situations is realizing that we may not be in the best of spirits or health when they happen. In your preparations, please include special treats, books to read or games to play - in battery powered light - and include plans for taking time to enjoy one another no matter what is going on outside. Browse at your local bookstore, public library, or online retailer for books on emergency preparedness for families and children's books about hospitalization, first aid, weather, natural disasters or other events. Browse at your local hardware store or online retailers for products and information on avoiding, surviving and preparing for emergencies, or books like The Consumer Reports Guide to Childproofing & Safety - Tips to Protect your Baby and Child from Injury at Home and on the Go, and The Safe Baby, Expanded and Revised: A Do-It-Yourself Guide to Home Safety and Healthy Living . Fun with Flashlights (or how to survive a massive blackout)! Emergency Preparedness: Vital Necessity or Expression of Privilege? Does your city have Disaster Preparedness Information? What is the difference between an emergency and a disaster? Where do professionals find information on Emergency Planning? The National Fire Protection Association (NFPA) developed this free guide as a resource for creating an all-inclusive evacuation plan that considers everyone’s needs for evacuation, including the needs of people with disabilities. Superstorm Sandy Stories: Where Was the Plan?